Use compelling subject lines: Less than 40 percent of emails get read, but almost all subject lines will be read, if only to help the recipient decide to open the message. Use a tantalizing bit of information or mysterious statement in your subject lines. Personalize the subject line with a name the recipient knows to increase the chances the email will be opened. Cultivate good first impressions: Remember that you and your company will be judged on the impression you make with your email marketing messages. Be professional, dignified and clear in your presentation. Avoid gimmicky formatting or content. Be concise: Send short, concise messages that can be quickly read and understood. Include information that your recipients will appreciate and respond to, such as suggestions for solving their problems. Mind your tone: Use a friendly tone that appeals to your readers and makes them see you as approachable. Avoid the extremes of either being too formal or too casual. Send messages at an appropriate time: Send email marketing messages when your recipients are likely to not be busy, such as the middle of the day. Avoid sending emails at times such as Monday morning or the beginning of the day. Test and research your messages: Send yourself your own messages. Try to see your message as your recipient would and decide if the email would be interesting enough to open. Track your messages to ensure they arrive on time, formatted correctly, and with no problems. How much could your email marketing messages benefit from applying any or all of these suggestions? 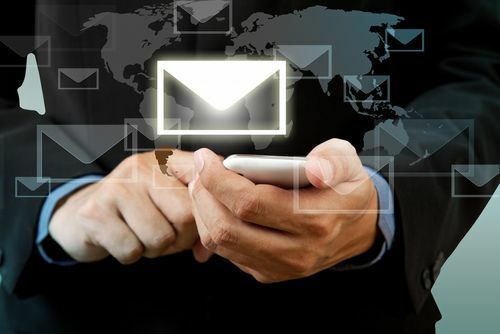 Pingback: Survey Shows Email Marketing Still Packs a Punch Compared to Social Media Efforts | Continuity Programs Inc.
Pingback: Creating a Cross Media Marketing Campaign to Boost Your Sales Potential | Continuity Programs Inc.